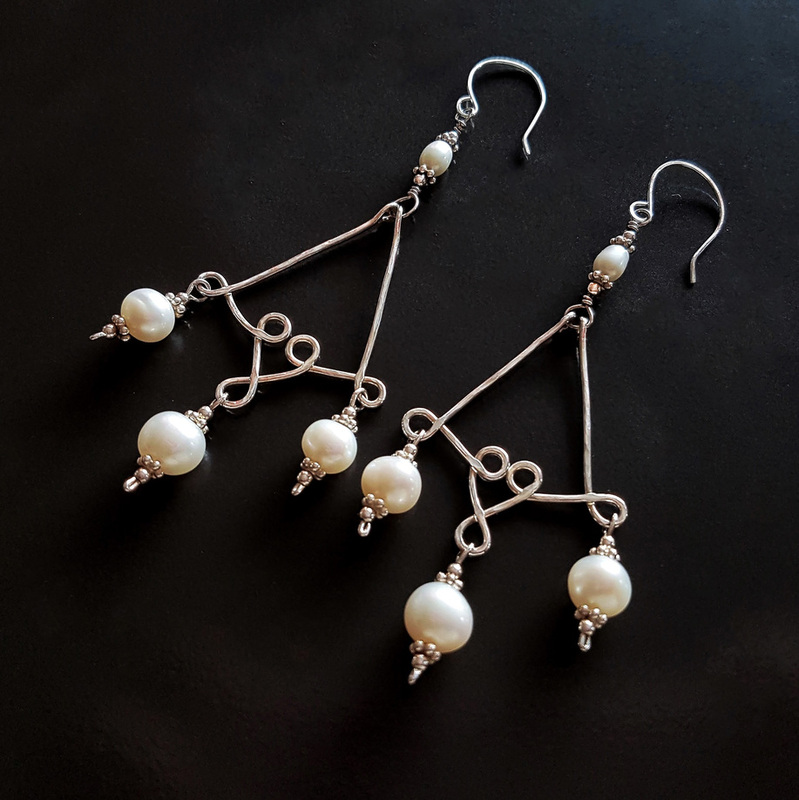 Long chandelier earrings made with Sterling Silver and White Freshwater Cultured Pearls. 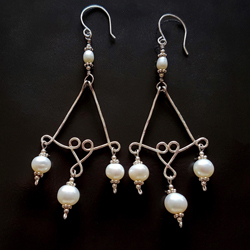 Three large, 8mm, almost round pearls dangle from the elaborate designs with one small 4mm oval shaped pearl on the top where the French style earrings’ wires attach. 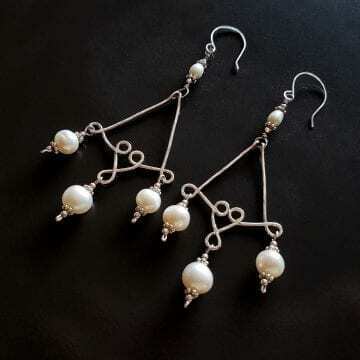 Each pearl is accented with little daisy shaped beads. 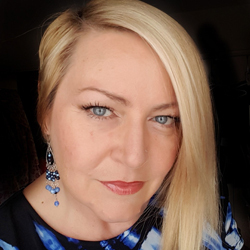 Earrings measure 7.5cm in length from the base of the earring wires, the total length with wires is 9cm.